The majority of treatments for a broken shoulder include more passive types of remedies, such as alleviating the symptoms rather than resorting to surgical repair. Because most clavicle or collarbone fractures involve clean breaks, often times these type of injuries can mend on their own with the proper care and patience. According to the Cleveland Clinic, less than 20 percent of shoulder fractures will require manipulation or surgery to set the bones in the proper position for healing. 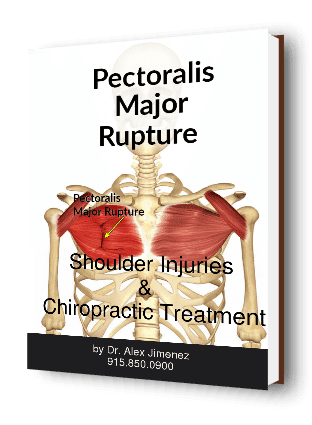 Thus, for the remaining percentage of broken shoulder injuries, getting plenty of rest, using ice therapy, immobilizing the shoulder and in some cases mild use of pain relief medication can help heal a broken shoulder. As with any other type of fracture, a broken shoulder can be treated without resorting to surgery. Most treatment for this type of injury involves relieving the symptoms of pain and discomfort associated with a bone fracture and in the process, ensuring the shoulder has enough time and care to heal. For more information, please feel free to ask Dr. Jimenez or contact us at (915) 850-0900.